Scott Johnson, was a long time Riptide Lacrosse Coach and friend. Scott passed away unexpectedly last night. We are all still trying to process this news. 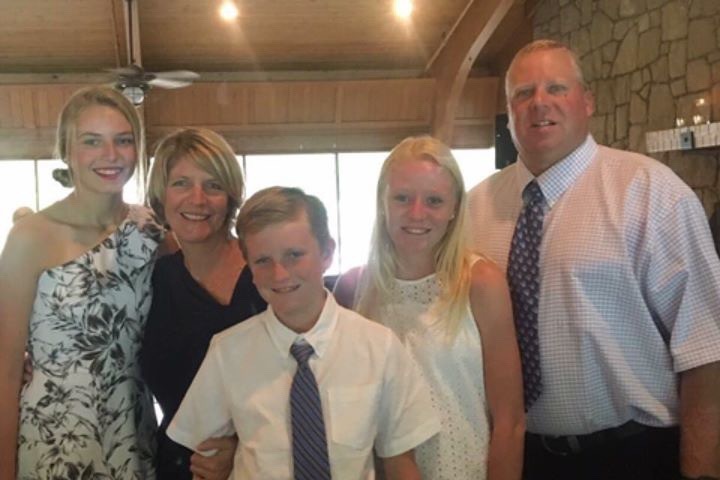 Scott was a wonderful husband, father, friend and coach. Scott brought a smile to everyone's face and was always the first to offer his help and the last to leave the field. He was truly one of the friendliest men you will ever meet. Scott was a longtime Riptide coach and supporter and also played for the Palm Beach Lacrosse Men’s Team for years. Scott leaves behind his wife, Kellie and his three children: Elena, Emily and Peter. All three of Scott and Kellie's children have participated and still participates in the Riptide Lacrosse program. They are long time family members of this organization. There will be a constant void on the field from this moment forward. Please keep the Johnson family in your thoughts and prayers as they work through this very difficult time. The family has asked that I distribute this sign up genius that was created. If you would like to bring something, please sign up at the below link. (Please note: we do not have access to any part of the kitchen) If you are bringing a hot dish, please warm it prior to arrival. Thank you, and the family warmly welcomes you all to attend.